Doxorubicin (Dox), an antitumor anthracycline antibiotic, plays a key role in the treatment of many neoplastic diseases. However, its chronic administration induces cardiomyopathy. Increased oxidative stress is a major factor implicated in Dox-induced cardiotoxicity. 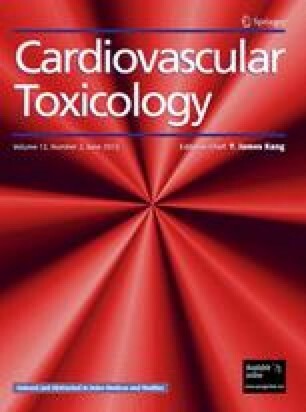 We hypothesized that a pre-treatment with grape seed and skin extract (GSE), commonly used as an antioxidant agent, may alleviate this cardiotoxicity. Rats were treated with GSE (500 mg/kg bw) by intraperitoneal injection during 8 days. On the 4th day, rats were administered a single dose of Dox (20 mg/kg). At the end of the treatment, their hearts were Langendorff-perfused, subjected to ischemia/reperfusion (I/R) injury, and left ventricular functions as heart rate and developed pressure measured. Hearts were also used to determine free iron, H2O2, Ca2+, lipoperoxidation, carbonylation and antioxidant enzymes such as superoxide dismutase (SOD), catalase and peroxidase. Doxorubicin drastically affected heart activity as evidenced after I/R experiments. This effect was associated with an increase in heart free iron and a decrease in Ca2+ concentrations. This effect may have contributed to oxidative stress as assessed by high lipoperoxidation and carbonylation level. GSE counteracted Dox-induced disturbances of hemodynamic parameters, alleviated oxidative stress as assessed by normalized iron and Ca2+ levels and increased SOD activity especially the Mn isoform. Meherzia Mokni and Sonia Hamlaoui-Guesmi equally contributed to this work. We gratefully acknowledge the financial support of the Tunisian Ministry of High Education, Scientific Research and Technology.